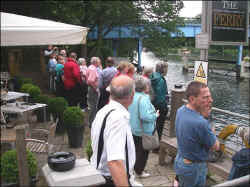 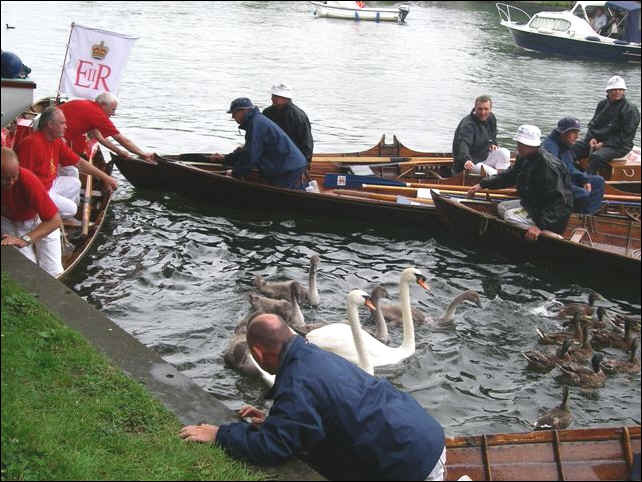 Large crowds lined the riverbank, Cookham bridge, and Ferry pub on Tuesday as the annual swan upping took place with the Queen's swan master, Vinters and Dyers. 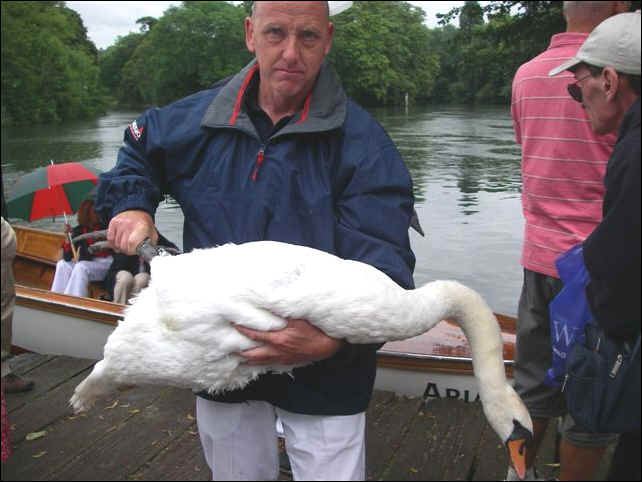 David Barber of DB Marine, the chief swan upper, oversaw the operation as 6 skiffs manned by 2 oarsman and helmsman each set off to count and measure this year's swans along the Thames from Sunbury to Abingdon. 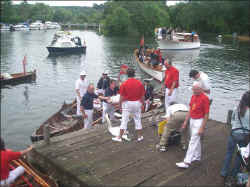 Yesterday they met the Queen at Oakley Court, Windsor, and today they hope to row 3/4 miles up to Marlow from Cookham Bridge. 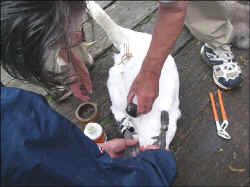 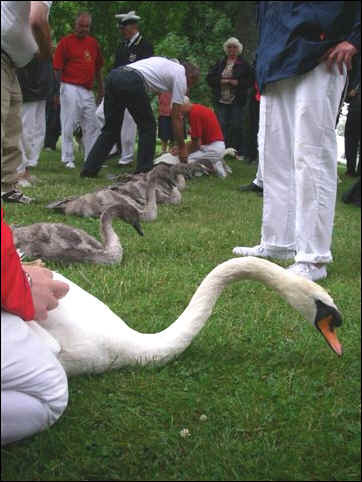 The 3 groups of official swan counters - Vintners in white, Dyers in blue and the Queen's in red, rounded up each family group of swans, weighed them, checked them for injuries (one near the bridge had fishing wire wrapped around it's wings) and tagged them. 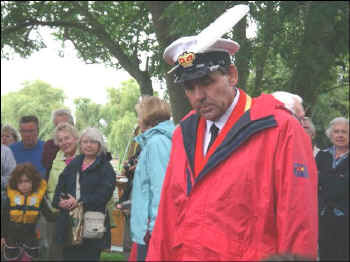 David Barker of Maldon in Essex, the chief swan man of the Dyers is on his 51st year of swan upping and shared a moment and jokes with Timmy Mallett. 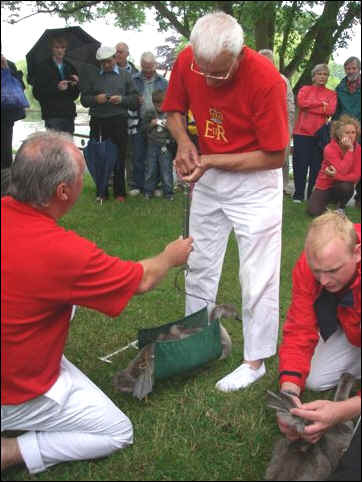 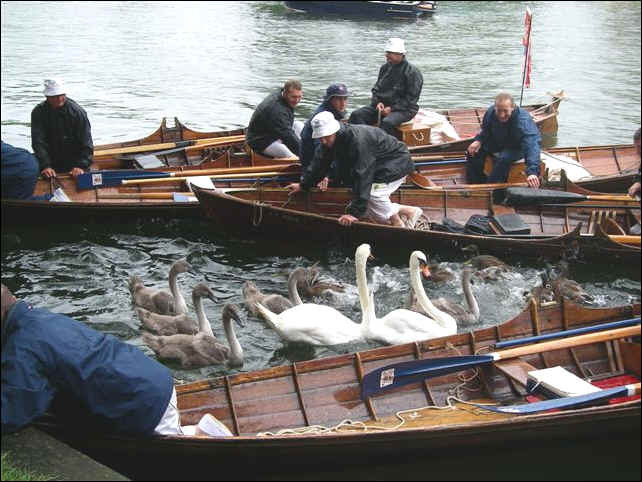 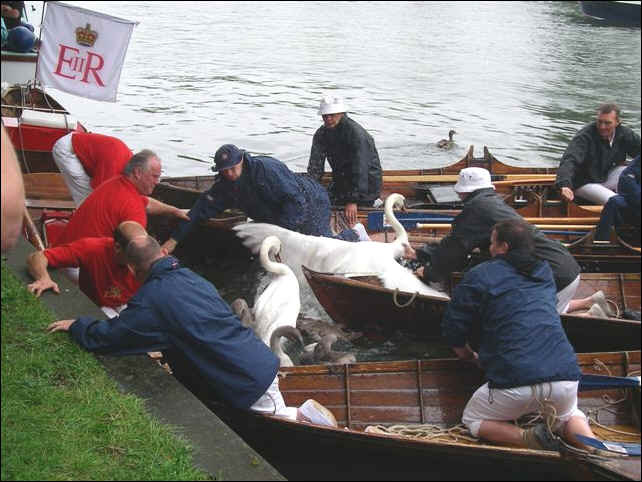 The tradition dates back to the 13th century and in recent years the efforts of the Swan uppers has helped put paid to lead weights on the Thames which has had a noticeable effect on swan numbers. 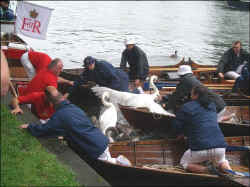 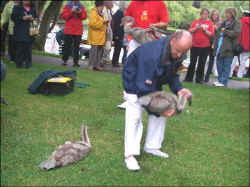 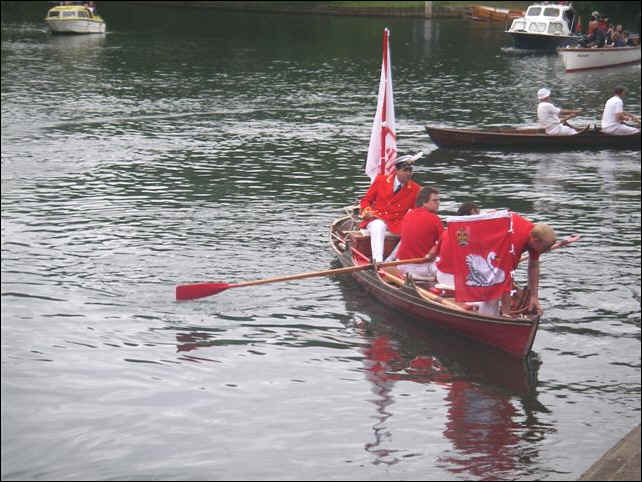 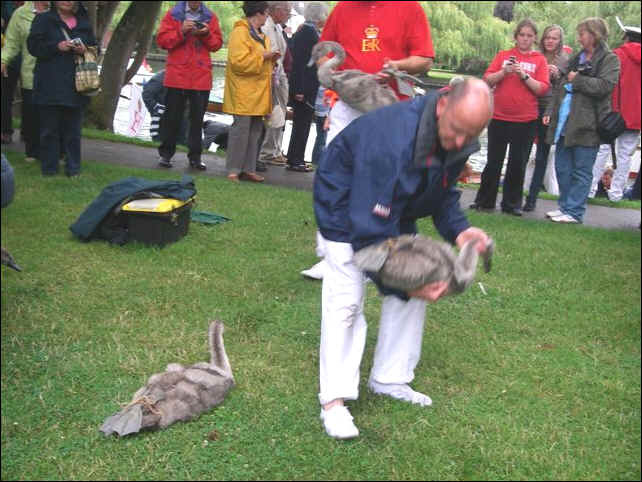 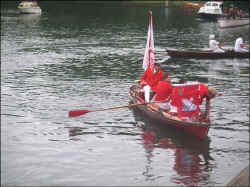 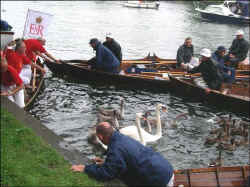 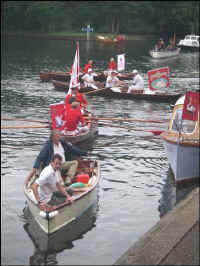 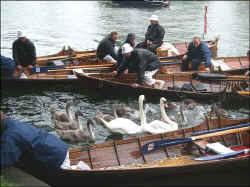 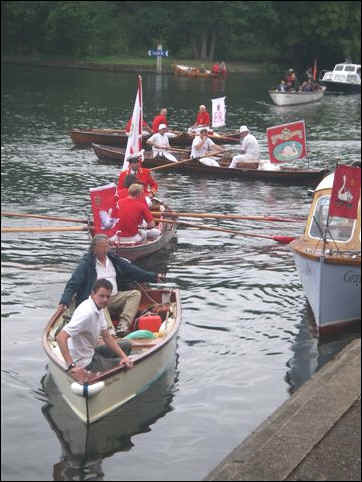 The swan upping takes place every third week in July and ends in Abingdon on Friday.